On Friday, March 11, 2011, a 9.0 M earthquake occurred off the East coast of Japan, triggering a massive tsunami in the region of Tohoku. In the Miyagi and Fukushima prefectures of this region, the wave was over 10 meters tall upon landfall. During the 1970s and 80s, coastal residents of Japan welcomed nuclear power, and two plants were built to supply electricity to Tokyo. When the tsunami hit in 2011, many districts of Fukushima lost power, which caused the cooling system in TEPCO’s Fukushima Daiichi nuclear power plant to fail. This power failure led to a series of nuclear meltdowns and hydrogen-air chemical reactions within the plant, which caused a release of highly radioactive material into the surrounding environment. The radioactive plume released from the Fukushima nuclear power plant was large enough to carry radioactive material for miles in every direction, and nearby residents were immediately evacuated. The Fukushima Daiichi nuclear power plant meltdown and ensuing leakage of radioactive materials was a disaster on the scale of Three Mile Island and Chernobyl. The White House released the top line numbers of its fiscal year 2020 Congressional budget request and, although there are some increases heading to New Mexico, they are not the increases that we’d like to see. It’s called – A Budget For a Better America, Promises Kept. Taxpayers First. but only Defense and Department of Energy (DOE) weapons contractors are going to think that anything is better. Meanwhile the rest of us taxpayers will, first and foremost, be looking at cuts to programs that affect us daily. Eight years have passed since a tsunami smashed into the Fukushima Daiichi nuclear plant in Japan, sparking a meltdown and the worst atomic crisis since Chernobyl. The disaster zone remains a huge building site with the immediate danger cleared but an immensely difficult clean-up job still looming. What is the state of the clean-up? The clean-up operation is progressing at a painstakingly slow pace. Robotic arms have recently been employed to successfully pick up pebble-sized pieces of radioactive fuel at the bottom of reactor two, one of three that melted down after the 2011 quake and tsunami. This is the first step to prepare the extremely delicate task of extracting the fuel that will not begin in earnest until 2021 at the earliest, the government and the TEPCO operator have said. Another problem is the fuel pools in reactors one, two and three. The pool in reactor one is covered in rubble which needs to be removed “with extreme care,” explained Akira Ono, head of the TEPCO subsidiary in charge of decommissioning. Removing fuel from the pools in reactors one and two will not start until 2023. – Farooq Tariq, a Lahore-based political activist who helped organise the Global Standout for Peace in South Asia last week. This year, women are taking a central stand against the region’s long history of conflict, militarism, and war, with both the Aurat March and Aurat Azadi March explicitly denouncing the creep towards war, and exhorting the nuclear-armed neighbours to issue a ceasefire in Kashmir. “We push for peace and against the war, the militarisation of our everyday lives, and a rhetoric of jingoism,” read a statement from Aurat March on Wednesday. Eight years after the Fukushima nuclear reactors exploded on Japan’s Northern coast, spewing radioactive particles into the air, across the land, and into the Pacific Ocean, the country continues to struggle with decontamination and relocation efforts. Determining the health impacts resulting from the nuclear disaster has been particularly fraught. For Date City, about 60 km from the ruined Fukushima reactors, and still blanketed by radioactive contamination from the ongoing catastrophe, the struggle for protection of health continues amid accusations of scientific misconduct and betrayal. Gloria Steinem and Christine Ahn are founders of Women Cross DMZ , a global movement mobilizing for peace on the Korean Peninsula. In 2015, we were among 30 women from around the world who came together to cross the Korean demilitarized zone (DMZ), the infamous strip of land that has separated North and South Korea since a “temporary” cease-fire halted the Korean War 65 years ago. We marched to show this anachronistic conflict need no longer separate families, prohibit communication, and provide excuses for land mines, nuclear weapons and an expensive, ongoing U.S. military commitment. Among us were women who had won Nobel Peace Prizes for helping to bring peace to Liberia and Northern Ireland. Despite criticism that we were naively playing into the sinister plans of one side or the other, we held a peace symposium in Pyongyang with hundreds of North Korean women, and marched with thousands in the capital and in Kaesong. After crossing the DMZ, we walked with thousands of South Korean women along the barbed-wire fence in Paju. SANTA FE – At the end of a hourslong meeting in Albuquerque on Thursday night, officials from U.S. Department of Energy agencies had failed to persuade an independent nuclear safety board and a contingent of interested New Mexicans that a DOE rules change won’t restrict efforts to keep the state’s national laboratory sites safe. Bruce Hamilton, a Republican who chairs the presidentially appointed Defense Nuclear Facilities Safety Board, said DOE officials had continued to downplay the impact of DOE Order 140.1, which last May placed new limits on the board’s 30-year-old oversight role. 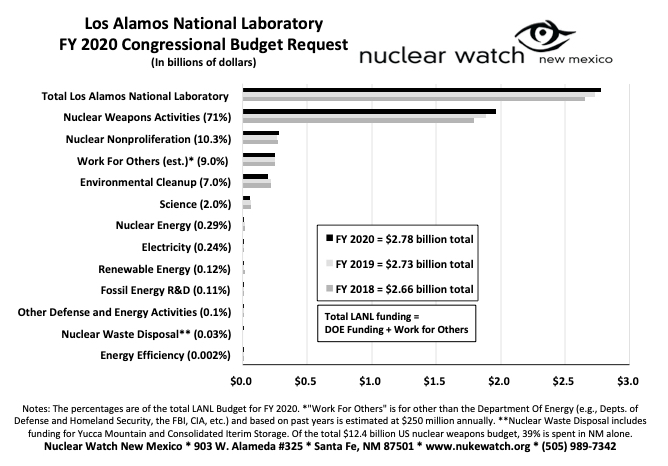 The new rule says the private contractors that manage facilities like the Los Alamos and Sandia national labs can’t respond to DNFSB information requests without notifying or the approval of a DOE liaison and that the weapons facilities can refuse to provide information that is “pre-decisional” or that the DOE determines on its own is not needed by DNFSB inspectors to do their jobs. Members of the public and a federal nuclear safety board voiced concerns this week that a U.S. Department of Energy order implemented in May excludes some facilities from the board’s oversight, creates obstacles to monitoring worker safety and allows private contractors to shield information from the public. 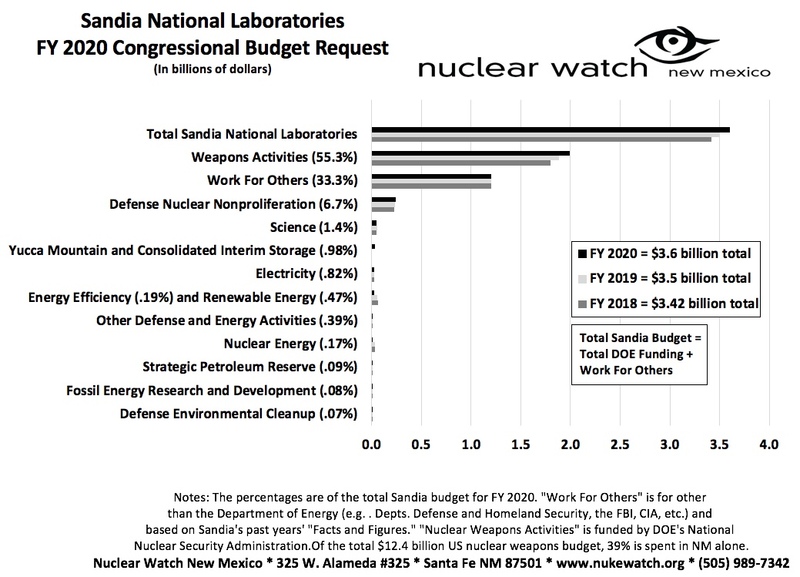 At a federal hearing on the order Thursday in Albuquerque, federal officials for the national laboratory defended the order, arguing the document has not significantly changed the relationship between the labs and the Defense Nuclear Facilities Safety Board. But the document outlines unprecedented restrictions on the board’s access to information and oversight of nuclear sites and workers. Thursday’s hearing was the last of three held to gather public comment on the order, though board member Daniel Santos said he would propose additional field hearings. About 20 people spoke Thursday, many saying they were concerned in particular that staff of the safety board would no longer have authority to oversee the Waste Isolation Pilot Plant in Carlsbad, an underground nuclear waste storage site where a multibillion-dollar radiation leak occurred in 2014. Many said the document should be suspended. The board’s role in overseeing the safety of workers at WIPP was crucial, he said. The Defense Nuclear Facilities Safety Board was established by Congress in 1988 to provide independent advice to the energy secretary and the president on public health and safety at nuclear facilities. Its inception was largely born out of concern that the Department of Energy was operating with too much autonomy and too little transparency. The live video streaming link is Now Up Here. The Department of Justice announced today that the United States has filed suit against CB&I AREVA MOX Services LLC (MOX Services) and Wise Services Inc. under the False Claims Act and the Anti-Kickback Act in connection with a contract between MOX Services and the National Nuclear Security Administration relating to the design and operation of the MOX Fuel Fabrication Facility (MFFF) at the NNSA Savannah River Site in Aiken, South Carolina. MOX Services is a South Carolina Limited Liability Corporation with headquarters in Aiken, South Carolina. Wise Services, which subcontracted with MOX Services, is an Ohio corporation with headquarters in Dayton, Ohio. Under the MOX Contract, MOX Services agreed to design, build, operate (and ultimately decommission) the MFFF. The MFFF is designed to transform weapons-grade plutonium into mixed oxide fuel rods that may be irradiated in commercial nuclear power plants. In performing the MOX Contract, MOX Services entered into a series of subcontracts with Wise Services between 2008 and 2016. Each of these subcontracts provided for Wise Services to supply labor, materials, equipment, and supervision for unplanned construction activities (e.g. general labor, plumbing, electrical, carpentry) deemed necessary to support MOX Services’ efforts at the MFFF. In a DER SPIEGEL interview, German Foreign Minister Heiko Maas laments America’s rejection of multilateralism and says that Donald Trump does not view the U.S. as the leading power among liberal democracies. He’s hoping to save the INF. German Foreign Minister Heiko Maas – January 7, 2019 in Berlin. DER SPIEGEL: Mr. Minister, United States President Donald Trump has turned against a global order based on international rules and agreements. In response, you called for the creation of an “Alliance of Multilateralists” last summer. How is that alliance coming along? Maas: It’s growing. Many countries are seriously concerned that the principle of might makes right is once again being applied internationally. truthout.org When it comes to relations between Donald Trump’s America, Vladimir Putin’s Russia, and Xi Jinping’s China, observers everywhere are starting to talk about a return to an all-too-familiar past. “Now we have a new Cold War,” commented Russia expert Peter Felgenhauer in Moscow after President Trump announced plans to withdraw from the Intermediate-Range Nuclear Forces (INF) Treaty.